Welcome to the 14th Issue of Digital Marketing Weekly! We're trying out a more in-depth video wrap up of this weeks news, so that you can stay up to date with everything happening in the fast moving worlds of Video Marketing, SEO and Social Media. To get started, watch the video here. 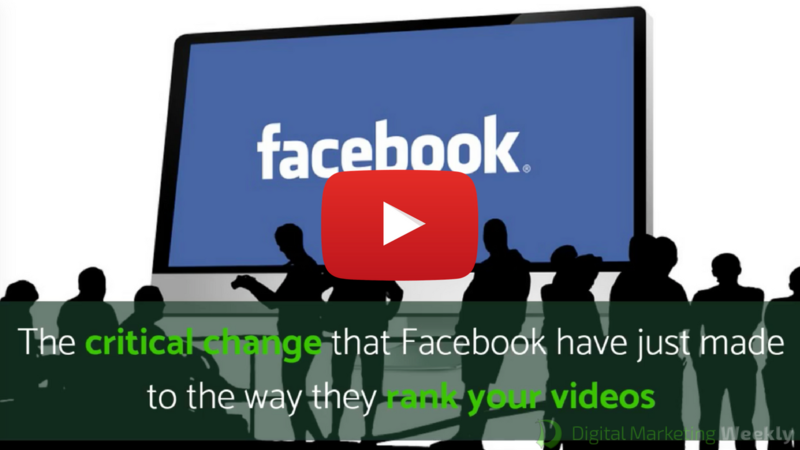 This week Facebook announced a change to the way they choose videos to feature in your News Feed. 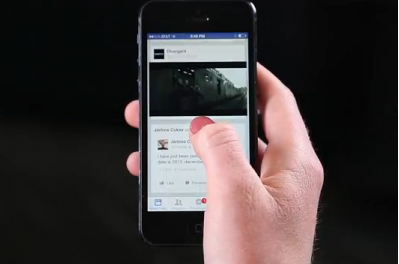 In the past Facebook have used a range of signals to determine how engaging a video is. These include how long a video is watched, whether people choose to turn on sound and whether people open the video in fullscreen. The latest change is that Facebook will now be weighting “percent completion” more heavily the longer a video is. What this means for video marketers is that longer videos will most likely see a boost in distribution as long as they are engaging, compelling and deliver real value to your audience. Today, Mark Zuckerberg announced Facebook’s quarterly results and provided an update on the company’s primary goal of building a global community. Zuckerberg indicated that Facebook now has almost 1.9 billion users with 1.2 billion active everyday. He also pointed out that 65 million small businesses are using Facebook to connect with their customers. This means that the opportunities for building a global audience for your business have never been better, and that video is going to be the most effective way to connect with your customers for many years to come. If you want to see the original Facebook post, click here. 1. Facebook Live: Facebook live is a fantastic way to engage with, and grow your Facebook community. If you’re not familiar with Facebook live, it basically gives you the ability to quickly and easily do a live broadcast direct to your audience. It’s perfect for Q & A sessions, and giving your audience the chance to come behind the scenes of your business and engage with you personally. 2. Instagram Video: Instagram Video is very similar to Facebook Live, and gives you the ability to broadcast to your instagram followers. The main difference is that once your live broadcast is complete, it disappears. 3: Snapchat Video: Offers a number of options to choose from including paying for video ads in between users’ stories or sharing your own stories with your audience. 4. 360 Video: With Virtual Reality growing in popularity, some businesses have started investigating using 360 video. Recording a 360 video allows your viewers to move their position within the video and look around. This can be great if you have a visual space that you want your audience to explore. For example you could take them on a tour of your office to meet the members of your team. 5. Interactive Video: This emerging video format gives your viewer the experience of “choosing their own adventure” through your content. This is likely to become more and more popular in the months ahead. 6. Webinars: Video based webinars are not exactly new, but they are still an important tool in your video marketing arsenal for 2017.